Constructed from ultra-high-conductivity copper, this 6ft Orange Speakon-to-Speakon Speaker cable is more than just a distinctive orange. 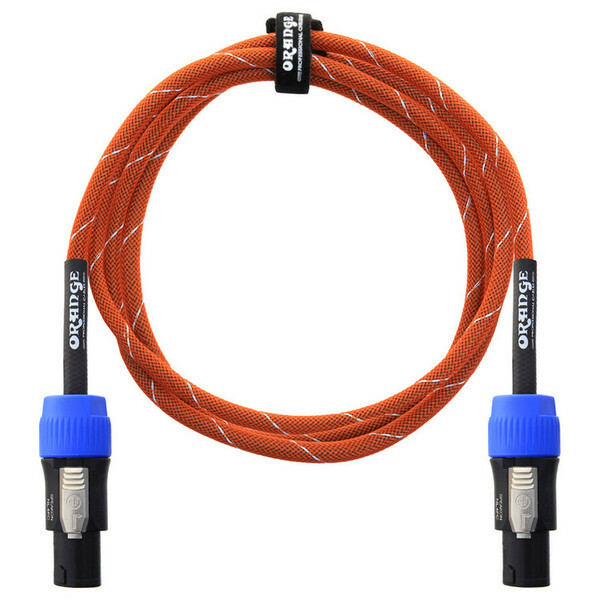 Plug in and get playing with this woven instrument Cable from Orange. Boasting 44 years as a manufacturer, Orange presents these distinct speaker cables, to match their recognisably coloured amplifiers. These cables are constructed from ultra-high-conductivity copper, or Electrolytic Tough Pitch copper. 99.9 of oxygen in the metal is removed when making these. This provides this great conductivity, along with low impedance and fantastic sound quality. The cable has a double jacket of woven Nylon over PVC for immense toughness.